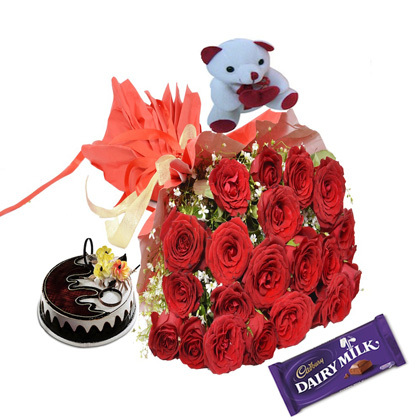 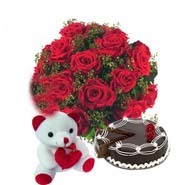 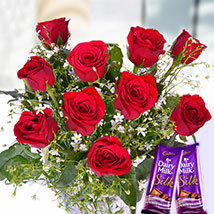 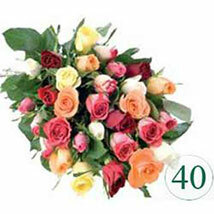 A bunch of 20 red roses symbolise your love, exotic chocolate Cake (1/2 Kg) to celebrate your day. 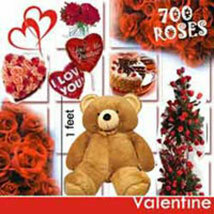 A teddy of 6 inches with a cadbury chocolate (Rs10) to increase sweatness in your life. 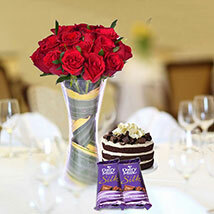 All together we pleasure to make your day special.